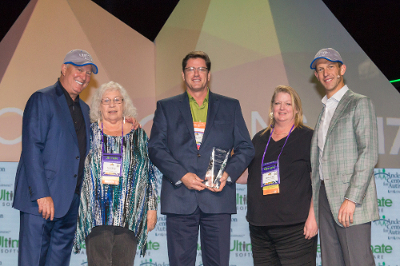 Ultimate Software’s Innovation Awards are given every year at the company’s Connections conference to recognize customers who are on the leading edge of HCM. These customers are using UltiPro’s unique “People First™ technology to solve strategic business challenges, add value to their organization, and improve the employee experience. Innovation Award winners set an incredible standard for their peers—not just in the way they leverage UltiPro, but also in the way they manage people. The quality of the submissions each year highlight what businesses can accomplish with UltiPro. Companies are using UltiPro to drive a high-performance culture, make HR software more focused on employee needs, and provide a source of competitive advantage. 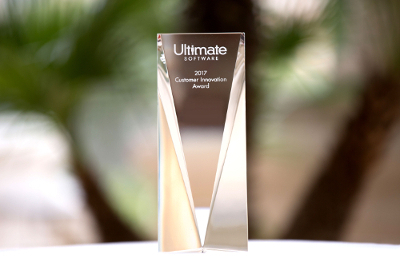 Once you are an Innovation Award winner, you are always an Innovation Award winner, and all of us at Ultimate Software congratulate the recipients of this incredible honor.